Funny game for kids Hippo. 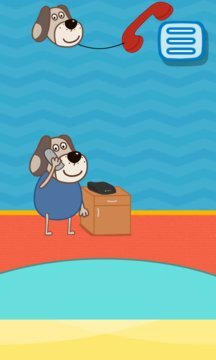 Baby Talking Phone Interactive educational games for baby - repeater will entertain the baby cheerful voice of Hippo and her friends. 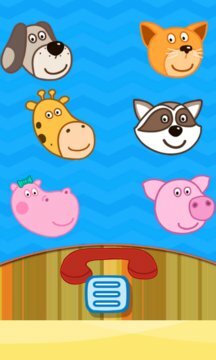 To make a call to someone in the phone book you will choose one of the Hippo friends: Cat, Raccoon, Giraffe, Pig or dog and tap on the icon. After selecting a character, the talking phone - repeater call him and start talking. Animals will repeat your words that you speak as classical repeater. Depending on the character selection talking phone - repeater will change the tone of voice.